Drawing Room Exclusively For Guests – Why is it not a good idea in today’s era? In the Sub-Continent, the concept of a drawing room is not very old. Drawing rooms among the princely or high born, noble families, used to be the most spectacular showpiece of the house. They were decorated with assemblages of colored glass, crystal chandelier, decoration pieces of ivory and silver, marble statues, fire- places, paintings, carpets, wooden carved furniture, so on and so forth. It was a statement of their socio-economic status in the society. Traditionally, ‘baithaks’ were used exclusively by males. They were designed outside and away from the rest of the house, with easy external entrance so that male guests would not need to pass through the rest of the house in order to sit in living room. This maintained seclusion and privacy for the women. With the passage of time and changing patterns and standards of living, the drawing room concept has be- come an integral part of our home design even though it is based on its functional aspect rather than aesthetic. The form and function of drawing room designs have been redefined now due to smaller homes, fast paced urbanization and changing social patterns. Now, it has dual function. First, the social, where one entertains the guests. Secondly, the private, where the family gets together. It no longer serves the purpose of solely entertaining guests. Today, it has rather amalgamated the functions of drawing room and living room. Now professional interior designers in Pakistan identify and design the two areas, seating area and living area and how the two areas come together as one. It would therefore, not be wise to design a drawing room solely for the purpose of entertaining guests. In such a case, drawing rooms are hardly ever used and become a mere dead space. Combining the functions of drawing room and living room not only saves floor space but also creates a much livelier and practical living room where most part of the day is spent. There are multiple ways of amalgamating drawing and living room. One such example is to design both drawing and living functions in one room. For example, in a large room, the delineation of functional areas may be more than two, including dining, card playing, children’s corner etc and that could be created by split levels. In case the room is too small, the functions may overlap e.g. 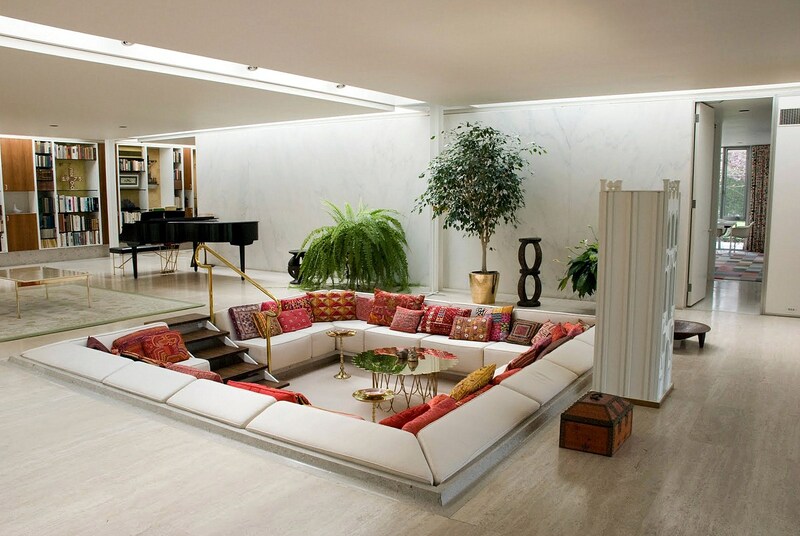 by using multipurpose furniture. Although, the trend of using multipurpose furniture in our context is quite unknown. People have not adapted to such a concept as of now. The other way of doing is the layout of both the rooms. If there are placed side by side and separated by a sliding door, sliding it open or shut as per required. This would also allow a control over privacy. Living room could still be used by the family even if guests are in the other room.